A time came when LG was almost out of the smartphone industry but then, with a bang, they decided to compete by bringing some great smartphones like Optimus L9. Overall, all the Optimus series smartphones by LG are very impressive but in today’s post, we are going to review the Optimus L9 as it is the latest one. 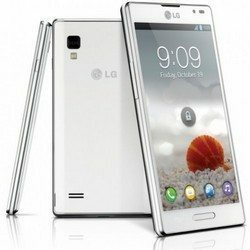 The LG Optimus L9 is quite similar to the Optimus L7 which is also known as LG Splendor in US market. One thing that must be kept in mind here is that, Optimus L7 was not a success story for LG because the smartphone lagged behind in many features. The design of Optimus L9 is think but dense and it is very comfortable to handle. The length of this smartphone is 5.03 inches and the width is only 2.63 inches. The thickness of the handset is 0.36-inch. The overall weight of device is only 4.16-ounce that makes it a light weight device. Being light weight doesn’t mean that you can adjust it in a small pocket because it won’t fit. One interesting thing about L9’s design is its back that feels like rubber. However, this gives it a luxurious feel and there is no risk of getting scratches or fingerprints on the surface. A 5MP rear facing camera with LED flash light has been included in this handset on the top right corner at back side. There is a small slit on the bottom that can be opened to insert SD card, SIM card and also re remove or install 2,150mAh battery. The phone has a 4.5-inch HD touch screen. I must say that the display of this device is not as impressive as you can see on other LG devices like LG Optimus G. However, the touch screen works just fine and not even at a single instant, it missed my tap or finger slide movement. The Android 4.0.4 OS aka Ice Cream Sandwich has been installed in LG Optimus L9. All the Google features that one can wish to use are available on this smartphone but I must say that the latest OS should also have been added in this smartphone. There is a possibility that the latest Android OS will be made available for this device very soon. Android Jelly Bean is an impressive OS introduced by Google which had 4.1 versions in the beginning but now 4.2 versions have also been released by Google. The 5MP camera added in this smartphone is quite good. It has many features like touch focus, flash LED light, autofocus, 15x digital zoom, Geo-Tagging, Face Tracking, Panoramic shooting and also continuous shooting options. You will also find a brightness meter and 5 different image sizes for capturing photos as well.